We are proud members of Slow Food USA and want to encourage everyone out there to get on board. Honestly, how could we not get on board with an organization who has as a header on their website: Taste, Tradition, and the Honest Pleasures of Food. 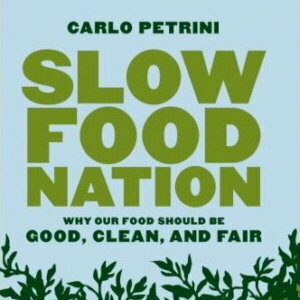 "Slow Food USA envisions a future food system that is based on the principles of high quality and taste, environmental sustainability, and social justice - in essence, a food system that is good, clean and fair. We seek to catalyze a broad cultural shift away from the destructive effects of an industrial food system and fast life; toward the regenerative cultural, social and economic benefits of a sustainable food system, regional food traditions, the pleasures of the table, and a slower and more harmonious rhythm of life." Ah yes, a slower and more harmonious rhythm of life. I'm in.